In Ohio (and other jurisdictions) there are exceptions to Mr. Franklin’s general rule. Certain entities such as corporations and limited liability companies may live on for many years beyond the death of their officers and shareholder-members; and property used exclusively for charitable or public purposes, such as schools, churches, government buildings, hospitals, and public recreation areas may qualify as tax exempt. Colleges and universities, nature preserves, children’s homes and certain homes for the aged may also qualify. Which taxes are exempt? Owners of exempt properties do not pay any real property taxes, however, any special assessments such as sewer maintenance or street lighting must still be paid by the property owner. Tax exempt status will carry into future years, however the owner must re-apply if the use of the property changes or ownership is transferred. Before one can get an opportunity to argue whether or not their property is exclusively used for charitable purposes, however, they must first prove they are one of the parties entitled by statute to file for a tax exemption, and entitled by statute to receive one. This was the issue faced by the Ohio Supreme Court in the recent case of ShadoArt Prods., Inc. v. Testa, Slip Opinion No. 2016-Ohio-511. In ShadoArt Prods., Inc. v. Testa, 503 South Front Street L.P. was a for-profit company, who leased its 30,000 Sq.Ft. building for a term of 30 years to appellant-tenant ShadoArt Productions, Inc. (“ShadoArt”), a 501 (c)(3) non-profit organization. 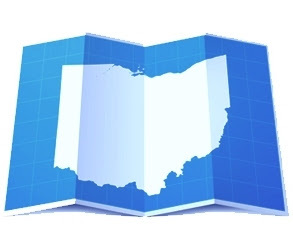 In 2011, ShadoArt filed an application for exemption under Ohio Revised Code (“O.R.C.”) Sections 5709.12 and 5709.121. The tax commissioner (appellee) denied the request, and in 2014, the Ohio Board of Tax Appeals (“BTA”) affirmed the denial. In 2015, appellant appealed to the Ohio Supreme Court. Had this case come before the court prior to 2008, it would have ended there with a quick dismissal. In fact, the application would have been rejected as tenants were not then eligible, by statute, to apply for tax exemption. In 2008, however, the Ohio General Assembly amended O.R.C. Section 5715.27 to expand the class of entities that may submit applications for various real-property-tax exemptions. (See 2008 Sub.H.B. 160), including tenants of real property with terms of 30 or more years. So, because O.R.C. Section 5715.27 was amended to authorize tenants with terms of 30 years or more (and other parties) to file applications for exemption, they must also be entitled to receive exemption under O.R.C. Sections 5709.12 and 5709.121 (if they can prove the property is being exclusively used by them for the exempt purpose). Correct? That was the appellant’s argument. ShadoArt reasoned that if it has standing to file an application under O.R.C. Section 5715.27, then it also must have the underlying legal right to exemption; otherwise, the 2008 amendment would be meaningless. The Ohio Supreme Court, however, did not buy the appellant’s argument. It affirmed the BTA’s decision that held the opposite. Namely, while “ShadoArt did have standing to file an application for exemption under R.C. 5715.27… the applicable exemption statutes…. R.C. 5709.12 and R.C. 5709.121 still control a determination of whether the property itself is entitled to exemption,” and that regardless of ShadoArt’s use of the property, an exemption was not appropriate here because the property “belonged to” 503 South Front Street, LP [a for profit entity, not ShadoArt, the 501(c)(3) tenant]. The result in ShadoArt Prods., Inc. v. Testa seems to carve out an exception from the Ohio Supreme Court’s dictum in Rural Health Collaborative of S. Ohio, Inc. v. Testa (the case discussed in Ms. Carr’s article) regarding lease-like arrangements not always resulting in a denial of a tax exemption application. Based upon the holding of ShadoArt Prods., Inc. v. Testa, a tenant who files a tax exemption application and tries to prove the property’s entitlement to the exemption based upon the tenant’s charitable use only will most certainly be denied. Perhaps a simpler way to reconcile these cases is to say that generally speaking, (1) “a property may be exempt for charitable purposes, even if the owner is leasing the property, provided that both the lessor and lessee are charitable institutions,” and (2) a for-profit landlord who owns property and leases it to a tenant for profit cannot claim its tenant’s charitable use as its own, simply by virtue of leasing to a tenant who is using the property exclusively for charitable purposes. The only thing seems certain after analyzing all of these decisions is that there is little certainty in tax exemption cases in Ohio.